One roadblock some artists may encounter when recording themselves is how to include pre production into their process. It’s not so hard to understand why this can be confusing. Most artists that record their own music record using a patchwork method. This means they record as they go. They don’t often get a solid perspective of what they want the song to be before they hit the record button. There are times where this method can be productive. However, there are plenty of times where it hinders progress and you don’t even realize it. When I compose a song or work with an artist that brings in a new song, I don’t just hit the record button. I listen to the song with pencil and paper in hand. As ideas come to me, I write them down. They could be as simple as moods or a specific part for guitar. The first listen is a really important moment. It becomes more complicated when it’s your own song. In this situation, the first listen would be that moment when you create a section. What do you hear? Can you imagine parts? Write them down or record a voice memo. These thoughts are often fleeting, so don’t waste time setting up mics into Logic. Simply document your idea. Don’t forget to document the tempo you’re playing the song at. Some artists make the mistake of not marking their original tempo where the pocket felt great. When it comes time to record they chase the tempo. Often not getting the right BPM. Ever since multi-track recording was invented there has been a debate of whether or not to record to click track. I’m not going to get into that debate. I will only say it depends on the song. When you’re working with musicians remotely via Airgigs, it’s generally a good idea to record to a click. This definitely makes the process easier when transferring projects back and forth between platforms and studios. Playing with a click can be sterile though. Luckily, there are some great new options to help you lock to the tempo and retain some feel. Logic has a Virtual Drummer in it that will create a drum track in it for your song. You can also use drum loops from companies like the Loop Loft. They provide drum loops recorded by some of the best drummers in the business. 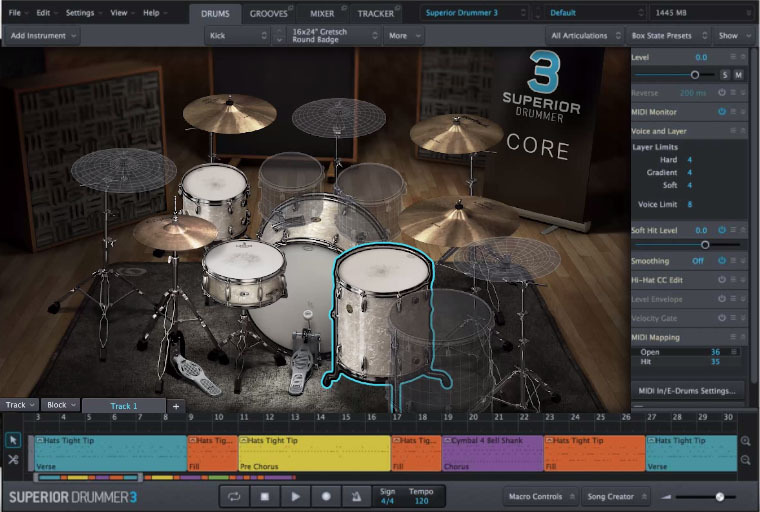 Toontracks EZ Drummer and Superior Drummer are also a fabulous options for getting great drum sounds and grooves as a template. You will be surprised to find how much more locked you’re playing will be using one of these three approaches rather just a sterile click. It will make overdubbing easier for the rest of the project. If you are using Loop Loft loops or EZ Drummer as a template, you don’t have to get fancy with drum fills. The intention is to have a groove that matches the desired feel of the song. These days it’s very rare when I just play to a naked click. Finding your way in a production can be a windy road. 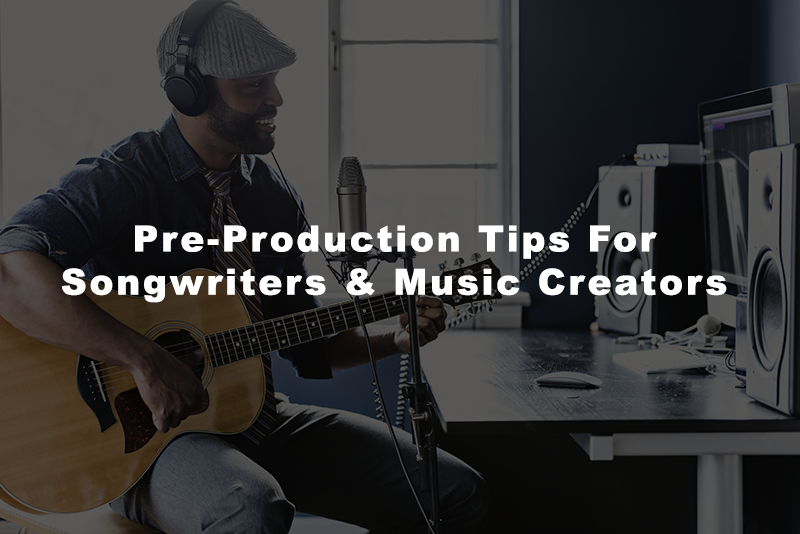 Sometimes, it’s helpful to gain some clarity from a producer with experience. One of the issues with self production is you can get lost in your own music. You become emotionally connected and it clouds your decisions. This can be the case even when your gut tells you there needs to be a change. If you’re finding yourself stuck in a rut, you can consult an experienced producer on AirGigs to get some valuable feedback. I recommend this process more then the feedback from friends method. 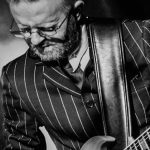 A music production consultation from a pro, able to listen to your production in much greater detail, will provide you with much needed constructive criticism and advice. Using references while building your production can be very helpful. Some artists get the wrong idea when first hearing this. The initial reaction can be that they don’t want to be influenced. They want their music to be unique. In reality, nothing is completely unique unless you grew up in complete isolation hearing no music and magically started composing. Even then, it’s likely you would have heard the songs of birds and other sounds in nature. There is melody in everything that surrounds us. It does seep into your brain. I say embrace it. Find inspiration in others work. Don’t copy. Continue to do your own thing. But, consider what works about songs you love. How does the guitar fit into the production? Where is the arc of the composition? What approach was made to capture the sounds? I like to keep a log where I take notes from my favorite songs. I don’t have to mark down every little nuance. I do document my favorite moments though. The little bits and pieces I can re-interpret. There is nothing wrong with this. I might make a note of how I like the sound of the acoustic guitar in “ Can You Get To That” from Funkadelic. I make make another note about how that guitar part is functioning in the song. Don’t be afraid to draw comparisons between your song and others. We’re all connected one way or another. You should be aware though if you’re borrowing too much from a reference. Can someone confuse the two songs? Are you using the same melody? These are just two indicators that you’re hugging the reference to close. Remember, we want to use a referencer track as an inspiration. We’re not looking to steal. Melody lines and lyrics are copyrightable. There have also been some challenges recently on other elements that are copyrighted. Or what is copyrightable. An example is Robin Thicke’s “Blurred Lines”. The family of Marvin Gaye sued Thicke and Pharrell William’s for the song sounding too much like Gaye’s “Got to Give it Up”. It’s best to play it safe and not get that close. Simply think of it as inspiration and don’t take all of your elements from one place.